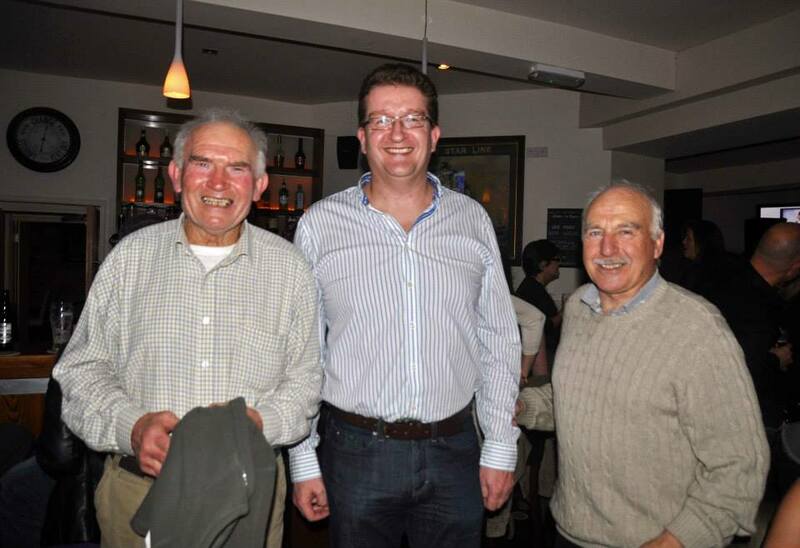 It was a great night in Bunny’s on Saturday, thanks to all of the organisers – Rosaleen, Siobhan, Joleen, Niamh etc. We started the day with the normal 8.15 swim and had a good turnout of ten, with a second group of sixteen arriving at 9.30, I’m told. Still busy on the beach. Saturday November 9 – swim to get ready for the party. 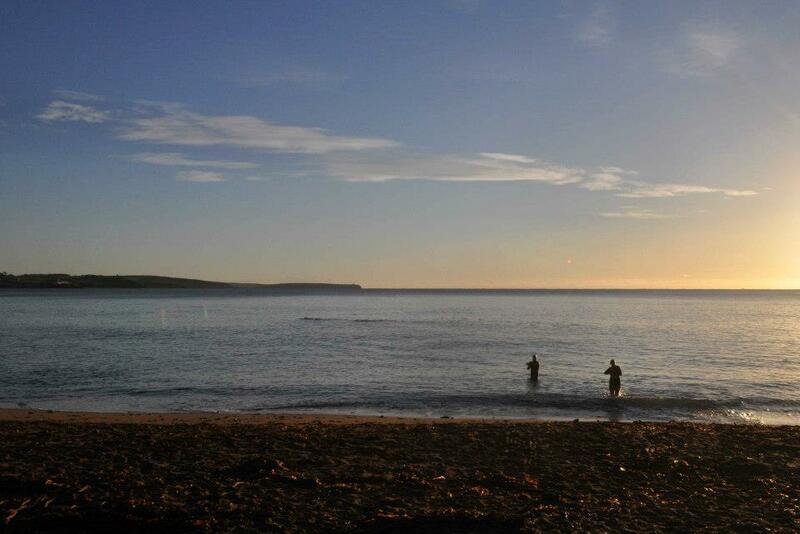 The real Myrtleville Swimmers – Tom Bermingham and Pat Higgins – with a young fella. Rosaleen McKeown claimed that her poem was her first ever, but it was so good I’m sure she’s been scribbling away for years and years – it was hilarious. Rosaleen ‘Emily Dickinson eat your heart out’ McKeown. 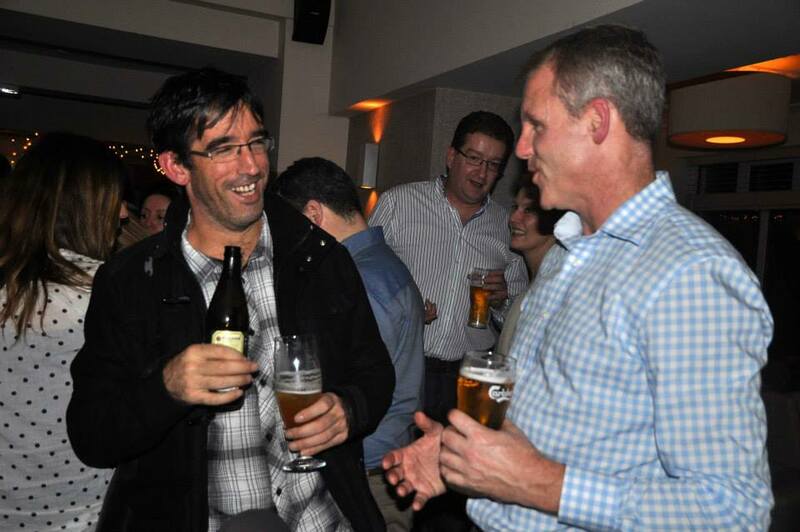 It was a night for training plans and alcohol bans to be put aside – and they were. 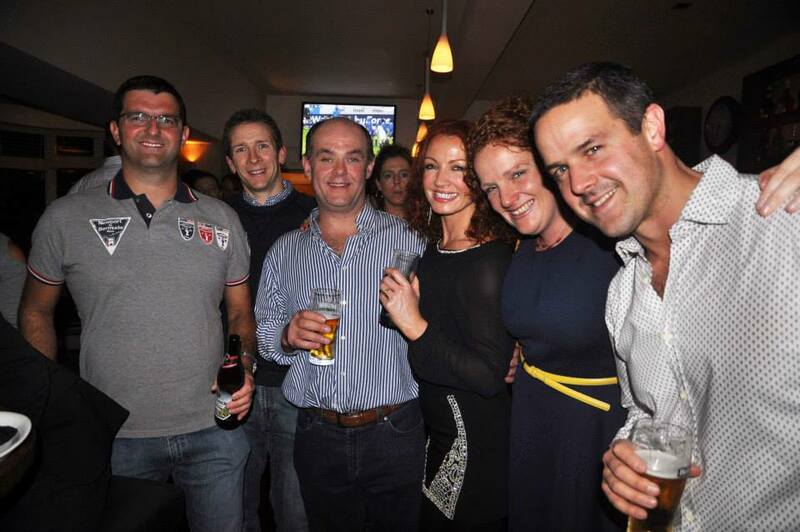 Gary Frost, Richard Hawkins, Bernard Lynch, Caroline Fegan, Fiona Foley, Joleen Cronin & Eddie Irwin – not a drop of alcohol consumed (or maybe I mean spilled) between them . Sham Riordan gets a rare pass for a night out – with Vincent Harrington. 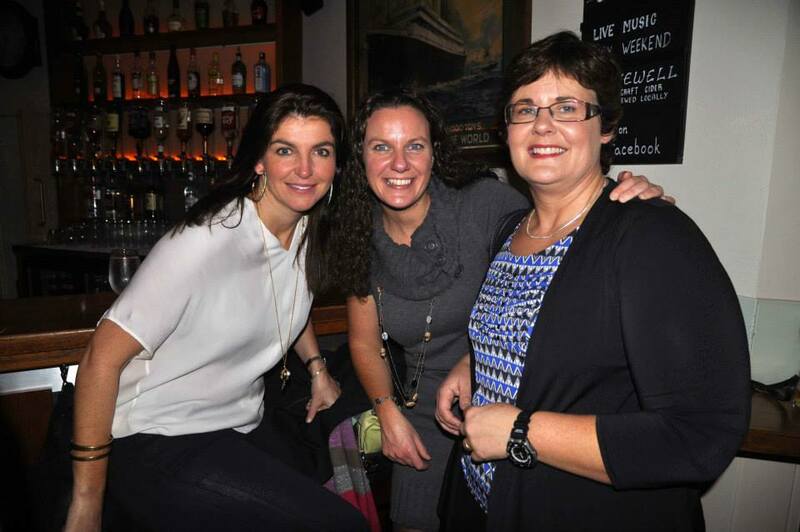 Nora Irwin, Carol Cashell & Maeve Mulcahy. Loads more pictures on Siobhan Russell’s facebook page as always. She got due recognition for all her wonderful work when the Crosshaven Friday swimmers presented her with an underwater camera. A whole new range of options for next year!! 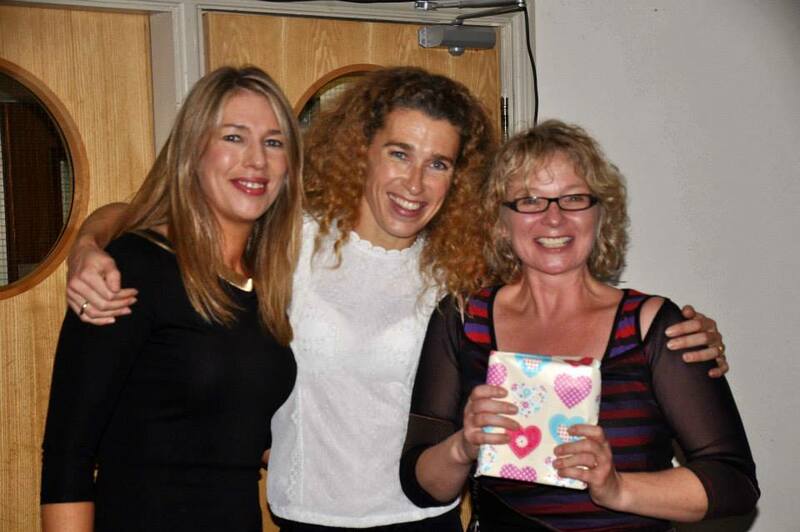 Niamh O’Connor, Rosaleen McKeown and Siobhan Russell with her well-deserved gift. Running in the background all night was a fantastic video of lots of Siobhan’s pictures from the year. 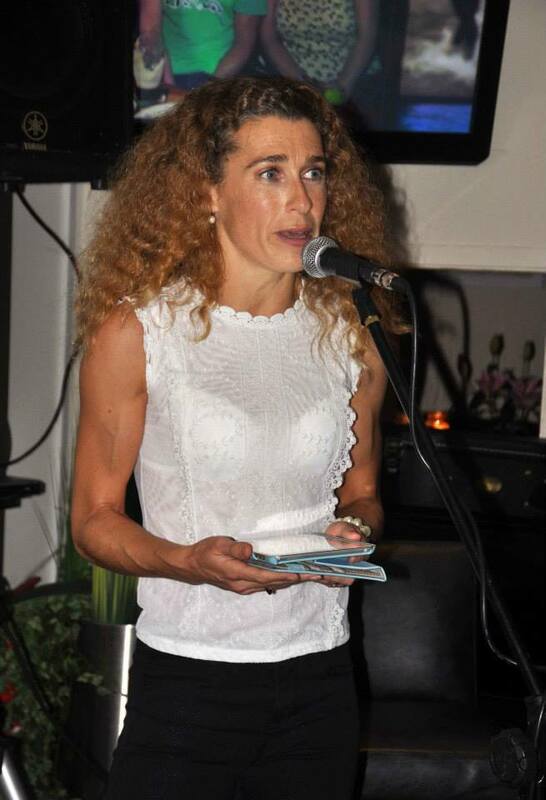 What we couldn’t hear was the soundtrack Joleen Cronin had put to it – who knew there were so many songs about swimming?? Really great work by them both. It’s 22 minutes long, so get a coffee and relax. It’s worth it! Don’t forget to get entries in for the Logo Competition.